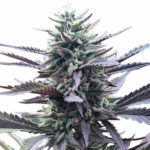 Gold Leaf Medical Marijuana seeds are Robert Bergman’s own creation, comprising of 60% Indica and 40% Sativa, these strong, hybrid plants are capable of producing very high yields of large, potent buds for all levels of growing experience. With a little knowledge and the correct environment, Gold Leaf Marijuana plants will produce good harvests for even beginner growers. Perfect for both indoor and outdoor growing, Gold Leaf seeds are completely feminized and devoid of any males chromosomes. Guaranteed to germinate, producing stable, vibrant plants without the need for sexing or wasted time growing males. Unlike many plants, Marijuana is either a male or female. Female plants grow flowers and buds, while the male produces pollen. A single male can fertilize a room full of females, producing seeded buds that are not as cherished or as valued as unseeded buds and colas. Grown indoors under ideal conditions Gold Leaf Medical Marijuana seeds can produce very tall plants that will average between 100 cm – 225 cm tall depending upon vegetative time and growing techniques. We recommend either reducing the vegetative period to just a couple of weeks, this will still produce a reasonably tall plant as the Sativa influence produces the characteristic ‘flowering stretch’ enjoyed by many Sativa based plants. Or growing Gold Leaf Marijuana plants using the Screen-of-Green method, super-cropping, topping or bending to reduce the overall height, while increasing the total yield. Many of the growing techniques mentioned above are learnt through reading and experience, either your own, or others. You can gain all the knowledge you need by downloading the free E-book at the top of the page. Full of techniques, feeding schedules and advice on how to grow Marijuana and totally free, without obligation. Grown indoors under a 12/12 flowering regime, Gold Leaf Medical Marijuana requires an average of 63 days to flower, bud and fully mature. 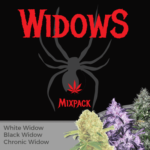 Although predominantly Indica, the Sativa characteristics are evident in flower, with long running colas and large, dense buds with an ample coating of resin and deep brown/red hairs that produce a dark golden coloring. 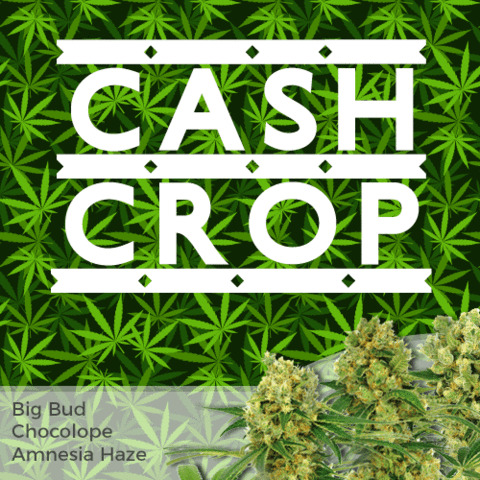 Outdoor growers with a slightly longer vegetative period and slow decrease in daily light hours can produce tall plants with huge, heavy buds that may need supporting as they reach maturity. A relatively easy strain to grow, and one of I Love Growing Marijuana’s favorites for it’s easy growing and forgiving nature. 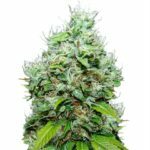 Gold Leaf Marijuana plants produce generous harvests of between 450 -650 grams of high quality, dried buds per square meter, with a low leaf to bud ratio, making harvesting and manicuring quick and easy. Gold Leaf Medical Marijuana has a sweet earthy flavor and pungent skunk/pine aroma. The thick, rich smoke is smooth with a strong aroma with a pleasant after-taste. Gold Leaf Marijuana is enjoyed by both recreational and medical users for its long-lasting powerful high. 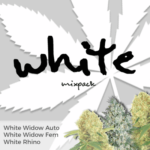 The combination of 21% THC and elevated CBD levels quickly induces a relaxed, happy and euphoric sensation. The dominant Indica genes produce a strong ‘body-stone’ which can leave the user feeling heavy and sleepy. Great for evenings and night-time smoking. 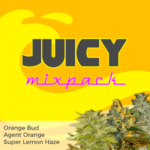 You can buy Gold Leaf Medical Marijuana seeds in packs of 5, 10 and 20 feminized seeds. World-wide postage and super-stealth packaging are included in the price, and delivery is guaranteed. To find out more about buying Gold Leaf Medical Marijuana seeds online, click below.